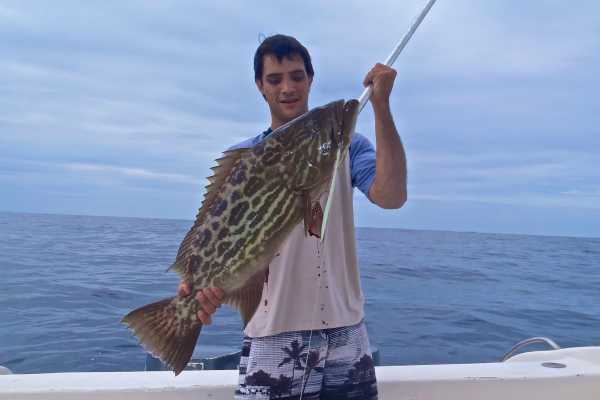 Enjoy a fishing tour in front of Puerto Lopez and have a great time in the beautiful blue and green waters of the Pacific Ocean. You can fish slouch weevil, swordfish, wahoo, yellowfin tuna, bigeye tuna, grouper, dorado, sierra, silver croaker, Murico, grouper, snook, and huayaipe. The species depends of the month of year. Book one of our tours, our boats from 31 to 41 feet in length, all of them with GPS and fish finder. This program departs from Puerto López to Salango Island or Isla de La Plata. Distance around 10 to 25 miles off land. ENJOY THE BEST LIVE ADVENTURE IN ISLA DE LA PLATA FROM GUAYAQUIL TRANSFER FROM GUAYAQUIL TO PUERTO LOPEZ + TOUR ISLA DE LA PLATA AND SNORKEL, FULL DAY DAILY TOUR FROM OCTOBER TO MAY Our goal is to give you an exciting adventure you will never forget. You can enjoy the amazing marine life sightings off the coast of Puerto Lopez and Machalilla National Park. This tour included marine turtles sightings, walking in Isla de la Plata for two hours (small Galapagos) and Snorkel and swimming surrounded by tropical colorful fish and abundant marine life. Feel the nature very close you. 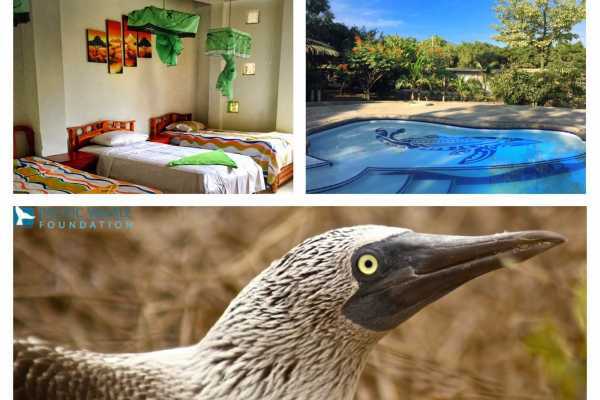 This tour included trasfer GUAYAQUIL - Puerto Lopez - GUAYAQUIL, trekking in Isla de la Plata, encounter with marine turtles, snorkel time with tropical fishes. 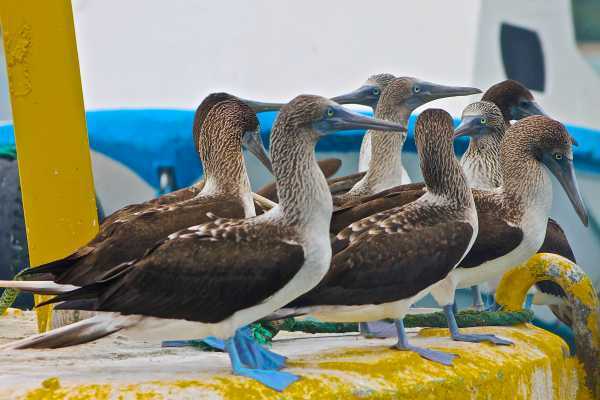 The tour began from your hotel or airport in Guayaquil, for three and half hour, you enjoy the Guayas and Manabi province landscapes, then we will arrive to Puerto Lopez, part of Machalilla National Park is the best breeding area with different species of marine birds, whales, turtles in Latinoamerica. La Isla de La Plata is also known as small Galápagos because it has the same ecosystem and animals living on the Island. In pre-Columbian times the sun and the sea was a ceremonial center of worship for the Incas. Later, the Plata Island was visited by buccaneers and pirates. Finally it belonged to one of the most famous families tours in Ecuador to be part of the Machalilla National Park, Isla la Plata is the second important protected area in Ecuador. From june to october, we can help you with the Isla de la Plata Tour + Whale watching from Guayaquil (extra 10 usd x person). You will pay this extra in our office (not included in the cost). ENJOY THE BEST LIVE ADVENTURE WITH NATURE Our goal is to give you an exciting adventure you will never forget. 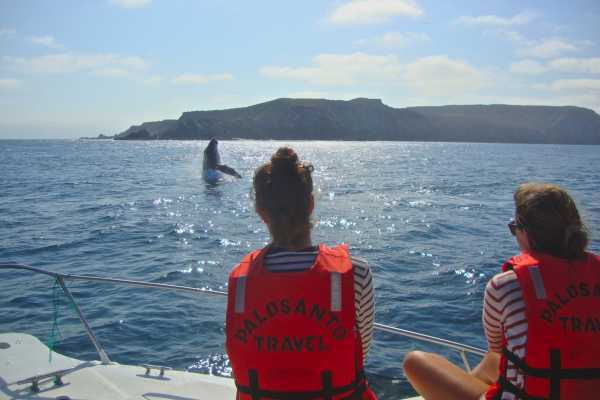 We want to make sure you enjoy the incredible marine life sightings the Machalilla National Park has to offer. 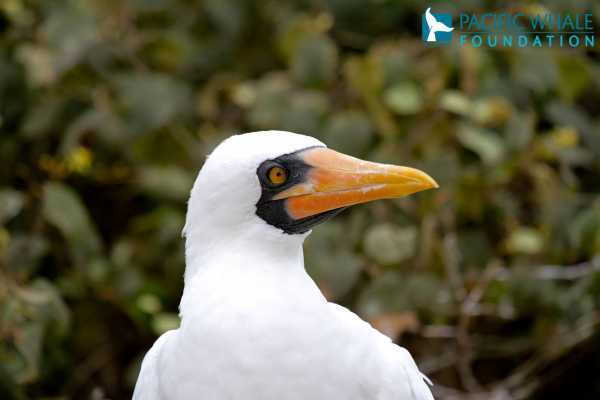 La Isla de La Plata is also known as small Galápagos because it has the same ecosystem and marine birds living on the Island. In pre-Columbian times (5.000 B.C. ), the sun and the sea was a ceremonial center of worship for the Incas. Buccaneers and pirates later visited the Island. The old histories tell about hidden treasures. Finally it belonged to one of the most famous families in Ecuador to be part of the Machalilla National Park, Isla de la Plata is the second protected area biggest in Ecuador. You need to know we are committed to your safety: our vessel is equipped with life-jackets for every single person on board, and all our crew members have been trained and certified to assure your safety. If you suffer from any physical or mental condition that may affect your safety during this trip (heart or pulmonary problems, sea sickness, asthma etc. ), let us know when you are booking so we can arrange the proper changes to your itinerary to guarantee you have a pleasant and safe trip. 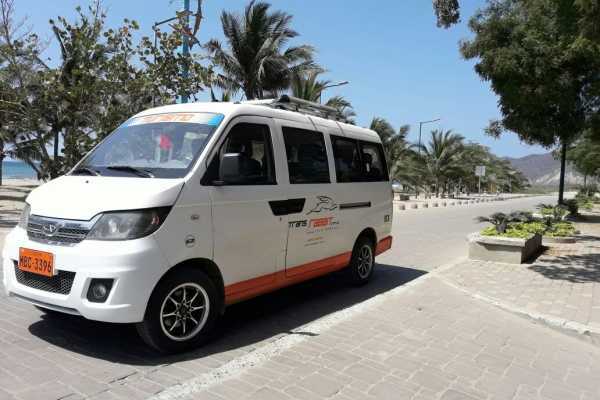 Our tour will be different, our service is personal and we have biologist, enjoy our services. A lot of fun! 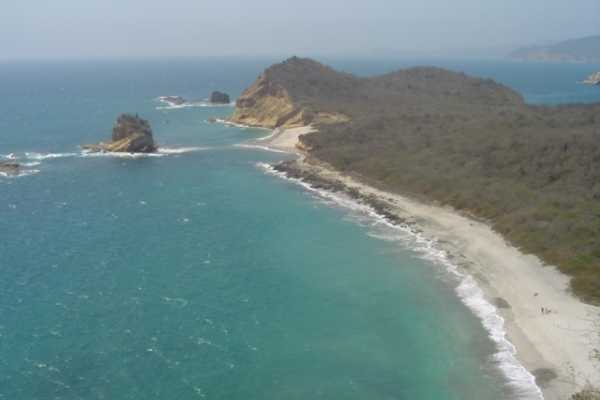 ENJOY THE BEST WHITE SAND BEACH IN ECUADOR, LOS FRAILES - PUERTO LOPEZ Frailes Beach and Agua Blanca are part of the tropical dry forest of Machalilla National Park. The tree known as Palo Santo is highly present in the dry forest. Los Frailes Beach has three consecutive state nature preserves. Each beach has a different color of sand. From black sand to white sand beaches. The community of Agua Blanca is an archaeological site where you can learn the ‘insitu’ pre-Columbian history, you can see funerary urns and ceramics which are over hundreds of years old. Finally we visit the sacred lake sulfhur appreciated for its healing and medicinal properties. A lot of fun! 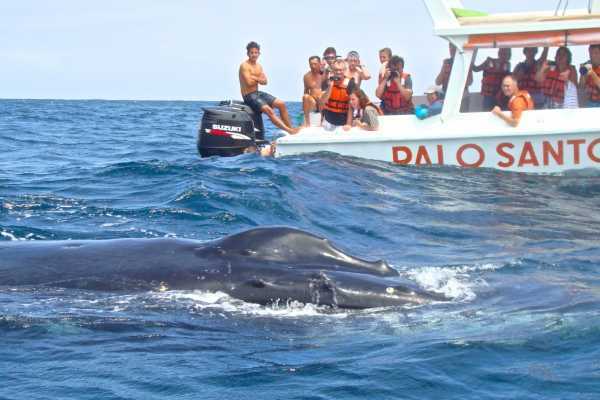 ENJOY THE BEST LIVE ADVENTURE WITH WHALES IN ISLA DE LA PLATA FROM MANTA 100% guaranteed whale watching. If you do not see them, we will refund your money. FROM MANTA, TOUR ISLA DE LA PLATA, WHALE WATCHING AND SNORKEL FULL DAY Our goal is to give you an exciting adventure you will never forget. We want to make sure you really enjoy the incredible humpback whale watching and amazing marine life sightings off the coast of Puerto Lopez and Machalilla National Park. This tour included trasfer Manta - Puerto Lopez - Manta, from your hotel, is your opportunity to find whales, sure and safety. 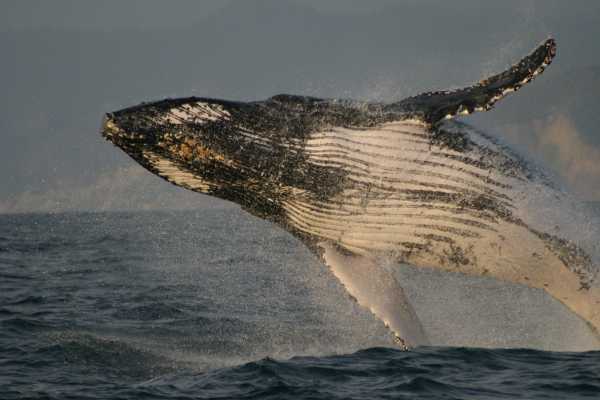 Machalilla National Park is the best breeding area for humpback whales in Latinoamerica. La Isla de La Plata is also known as small Galápagos because it has the same ecosystem and animals living on the Island. In pre-Columbian times the sun and the sea was a ceremonial center of worship for the Incas. Later, the Plata Island was visited by buccaneers and pirates. Finally it belonged to one of the most famous families in Ecuador to be part of the Machalilla National Park, Isla la Plata is the second protected area of Ecuador. From June until October humpback whales travel more than 7,000 km from Antarctica to the shores of Machalilla National Park in Ecuador. La Isla de La Plata is considered a breeding area for different species of whales and dolphins. It is also a place where they unite together. Only in these few month you can enjoy acrobatic shows from these wonderful animals. ENJOY THE RAIN FOREST AND THEIR SECRETS. BIRD WATCHING | FROM PUERTO LOPEZ Machalilla National Park was created in 1989 and was one of the first protected areas in Ecuador. This protected area consists of dry forest, marine area, islands and rainforest. The rainforest is one of the largest at the Ecuadorian Coast and there have been over 500 different species including birds and mammals. Río Blanco Community is located 15 minutes from Puerto Lopez. It performs for community tourism through ecotourism to protect the last remnants of forest and the animals that live there. 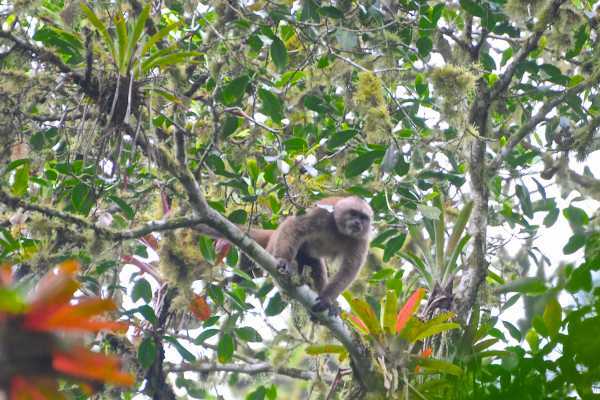 During the tours you can try native fruits, watch squirrels, colorful birds and see monkeys (black howler or capuchin) in their natural habitat, it activitity depends on what nature provides us. ENJOY THE BEST LIVE ADVENTURE IN THE PACIFIC OCEAN Enjoy a day bunch of adventure, discovering tha natural beauty of Salango Island located near of the Puerto Lopez inside of Machalilla National Park. 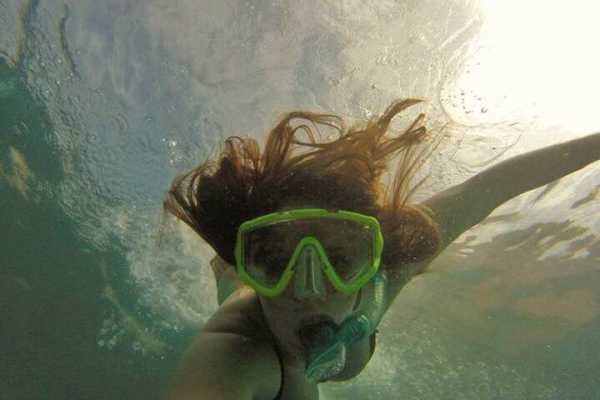 You will visit different coral reef systems where you will be amazed about the diverse marine life near of the coast. A place where you will enjoy a lot of kind of adventures such as exploring the marvelous of the Machalilla National Park. The coastal route reaches the Salango Island where you can see sea birds from the cliffs and snorkel in the reefs around Isla Salango. There is also shared activities with free swimming and kayaking in the area. Besides of this, enjoy of snack with banana bread and fresh fruit. We will provide you all the important information you will need about the tour and about the local biodiversity too. 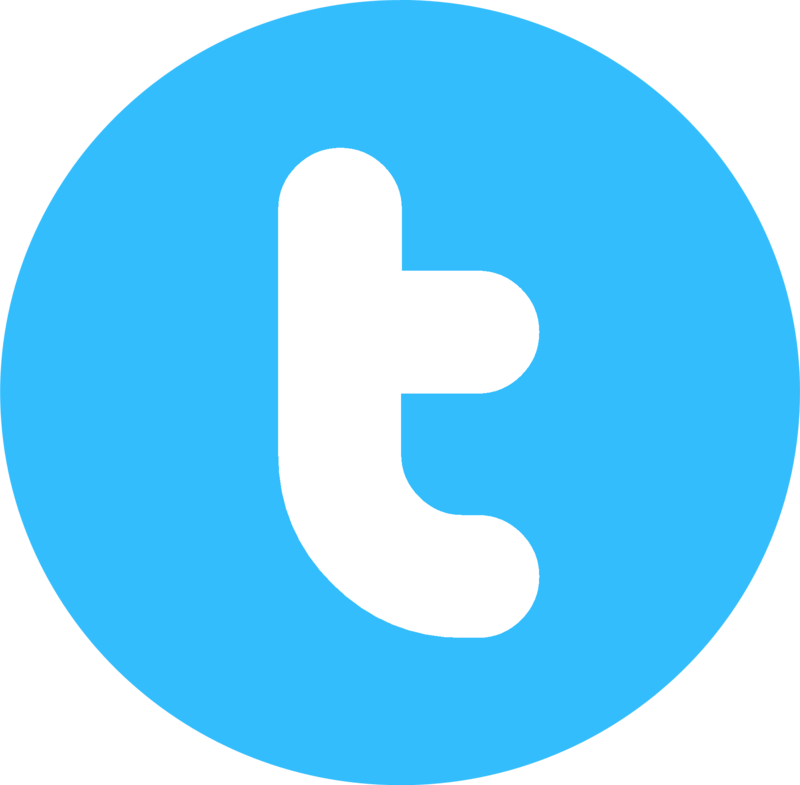 ¡Enjoy and visit us! DO YOU LIKE MORE TIME AND PHOTOS WITH WHALES, UNDERSTAND MORE ABOUT THE WHALE POPULATION, THIS IS YOUR OPPORTUNITY, A CLOSE ENCOUNTER WITH THE GIANTS OF THE SEA WITH WHALE RESEARCHERS Join a team of marine scientists on an exciting expedition off the coast of Puerto López and Machalilla National Park to track and study one of the most fascinating creatures on earth: the humpback whale. From June until October humpback whales travel more than 7,000 km from Antarctica to the shores of Machalilla National Park in Ecuador. La Isla de La Plata is considered a breeding area for different species of whales and dolphins. It is also a place where they unite together. Only in these few month you can enjoy acrobatic shows from these wonderful animals. Marine biologists, ecologists and naturalists will guide your adventure with outstanding commentary about local environment and sharing real-time insight into whales’ ecology and behavior while collecting scientific data for on going research and conservation projects. During our encounters we may observe whales spouting while cruising along, or powerfully breaching and tail slapping while playing or fighting. It is breeding season in the Mexican Pacific so there is a lot going on! If lucky enough, we may find females nursing their calves, or maybe listen to the intriguing songs performed by males as part of their courtship ritual. By taking part on this tour you are contributing directly to marine research and monitoring activities led by Pacific Whale Foundation (PWF) and its partners for the conservation of whales and dolphins in marine area of Machalilla National Park and Cantagallo Marine Reserve.